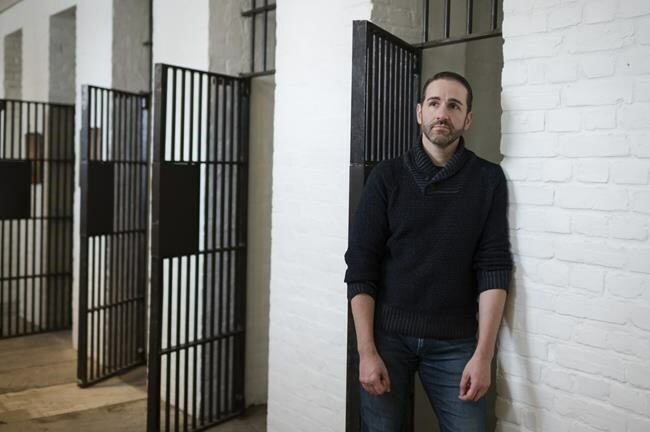 TORONTO — In setting the mood for a new Toronto production of "Kiss of the Spider Woman," about two men in a prison cell, the creators didn't have to look much further than the space around them — the former Don Jail. Running Wednesday through Sunday at the historic site, the musical from the new Toronto-based Eclipse Theatre Company (ETC) is meant to be an immersive experience set in a venue that once housed judicial hangings and infamous criminals including the Boyd Gang, who broke out of the jail twice. "It's definitely creepy, and a little sad as well," ETC co-creator and artistic producer Chilina Kennedy said in a phone interview from New York, where the Oromocto, N.B.-born stage star has the lead role in Broadway's "Beautiful: The Carole King Musical." "Some awful things happened in that jail, so there's a lot of history there, but it's also very beautiful. They've turned it into an art gallery, it's a heritage site. I don't think they get nearly enough people in there or know about it, so hopefully this will also bring more people to the jail and maybe spark some interest in the building." Based on the novel by Manuel Puig, "Kiss of the Spider Woman" centres around a gay window dresser imprisoned during Argentina's Dirty War who, in order to escape his dark reality, shares stories about a glamorous actress with the Marxist revolutionary he's locked up with. ETC co-creator Evan Tsitsias directs the production that's billed as the first theatrical event ever produced at the Don Jail. The cast includes Kawa Ada, Tracy Michailidis, and Jonathan Winsby. "Because it is an actual prison space, we couldn't ask for more atmosphere," said Toronto-born Tsitsias, who is ETC's artistic director. "We don't need a lot, because just bodies in that space already animate it in a beautiful way." The jail is located on the new Bridgepoint Active Healthcare Campus and has been restored as an administration building. But it still contains original features, including prison cells. Audience members will get a tour of the facility before being seated to watch the show in a rotunda with two balconies — an area that seats between 80-100 patrons. The show is part of ETC's mandate to create events where the nature of the venue dictates which production will be staged within it. Such partnerships showcase Toronto landmarks and help offset the huge expenses involved in putting on a show, said Kennedy and Tsitsias, whose other co-creator at ETC is executive director Sara-Jeanne Hosie. "Shakespeare used to put on plays all the time without anything other than the sunlight and a bunch of really great actors," said Kennedy. "So as long as there are great actors and a great audience, you've got theatre. And then on top of it, you've got an incredible location with all of this history and energy around it, and then also some great lighting and beautiful music." The story in "Kiss of the Spider Woman" resonates as much now as when the novel was first written in 1985, added Tsitsias. "It is about change and revolution and also personal revolutions, not just political revolutions, which is what everyone seems to be going through right now in the world. It's an amazing story about these two men who are forced to come together with completely opposing views and then, through communication, learn to change and through that change, learn to love each other. "As a gay man myself, I am drawn to the character Molina and his struggles and how relevant they are now as they were back then; how you think things change but actually how cyclical it is, and how those rights and what happened to those LGBTQ characters back then and people back then are still happening now in parts of the world."